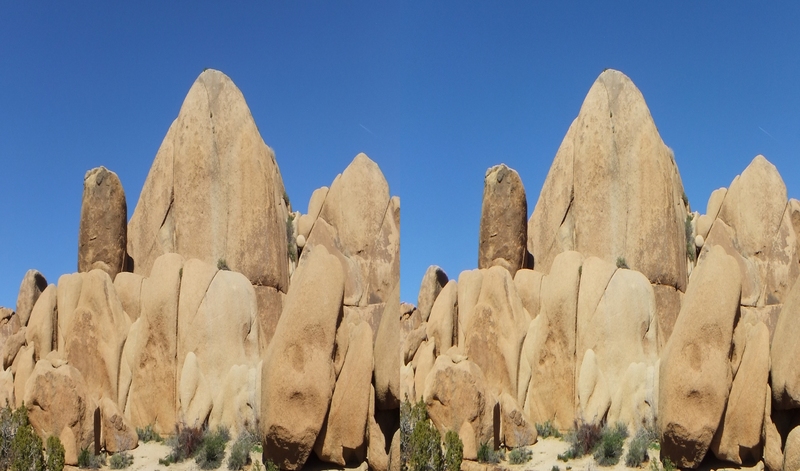 JUMBO ROCKS CORRIDOR and the formations immediately east comprise the main rock-climbing stomping-ground within Jumbo Rocks Campground at Joshua Tree National Park. 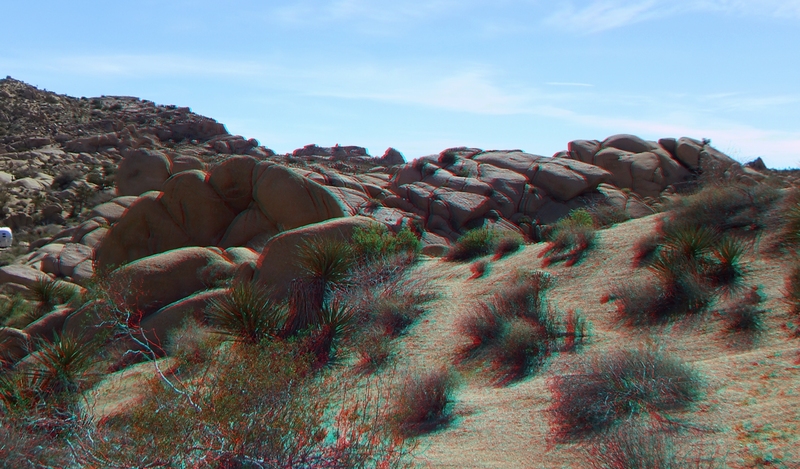 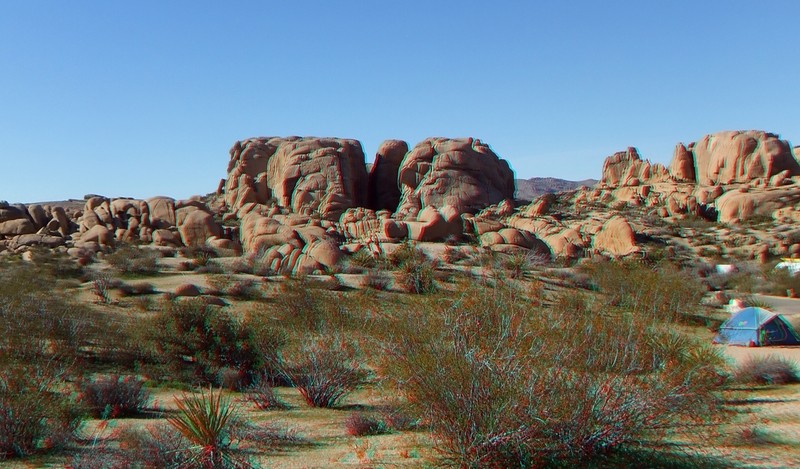 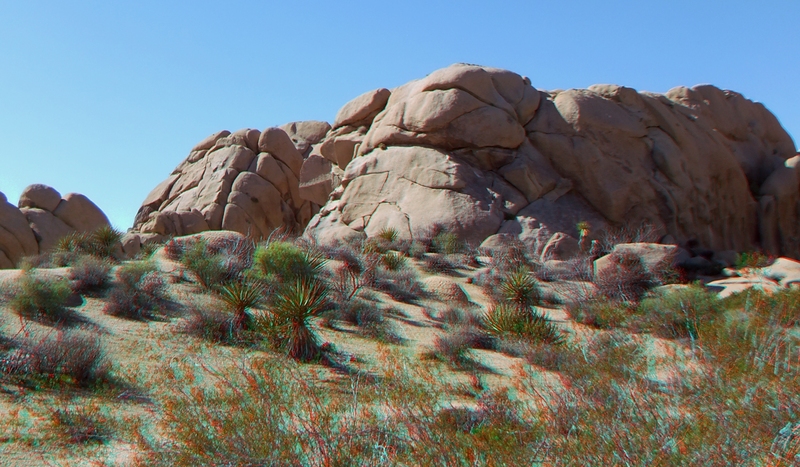 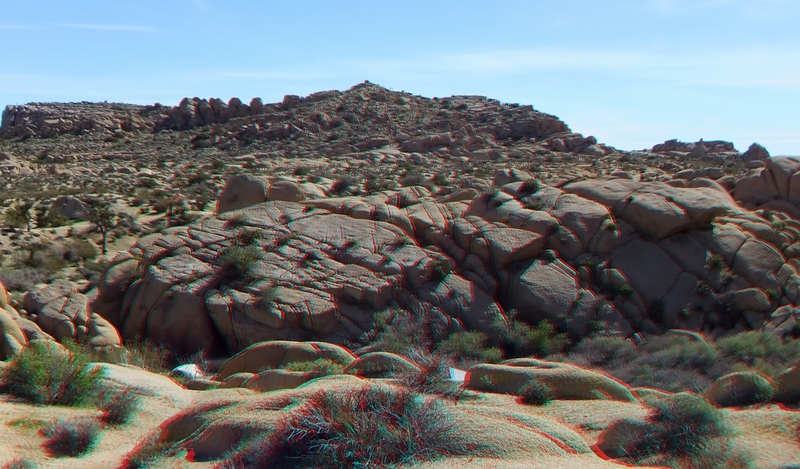 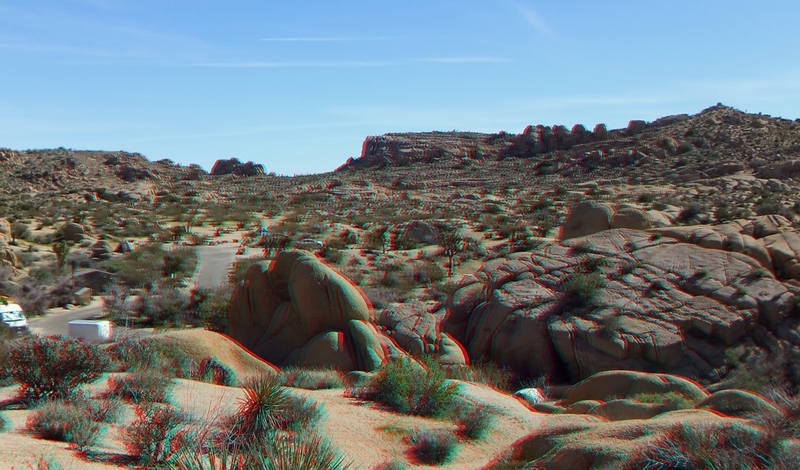 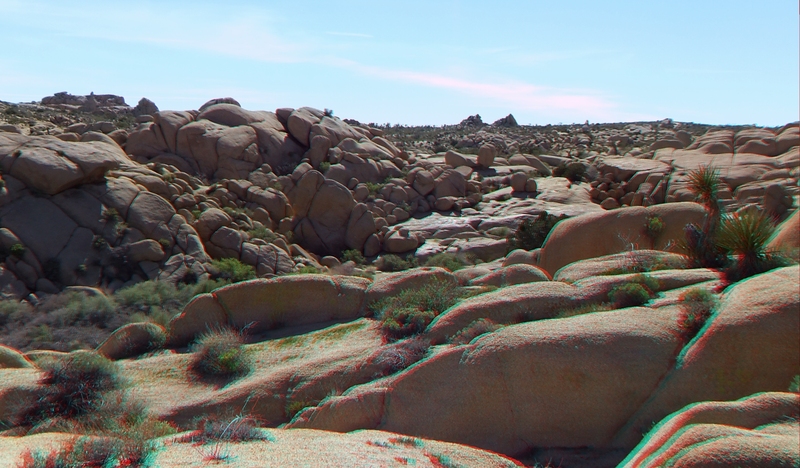 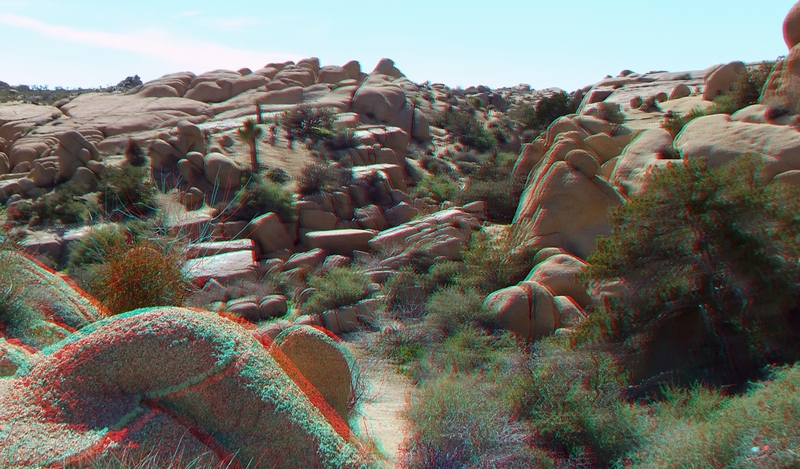 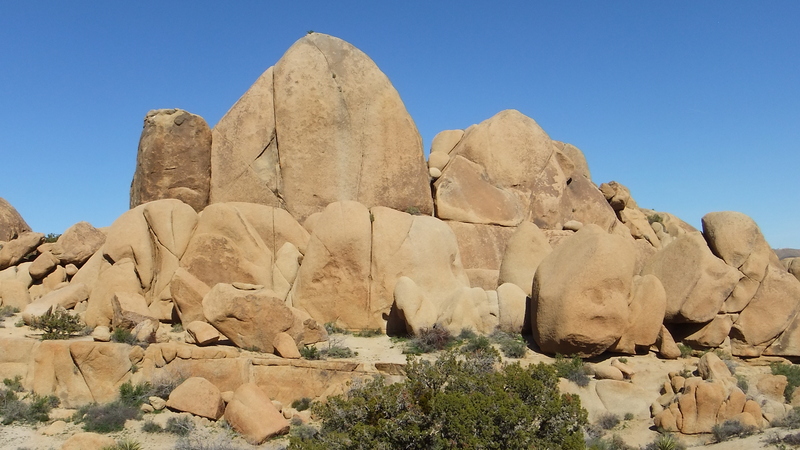 Although the campground has a fair amount of rock—well, okay, it is absolutely crawling with rocks of every imaginable size and shape—it tends to be grainy and rough. 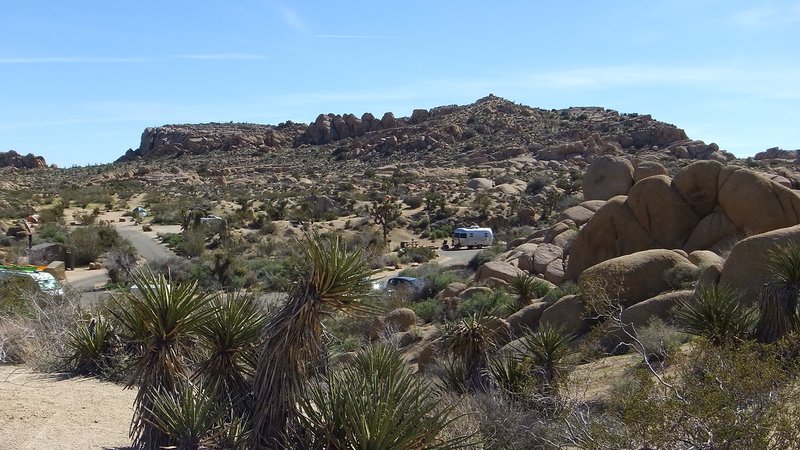 However, several areas have been staked out at the eastern end of the campsites. 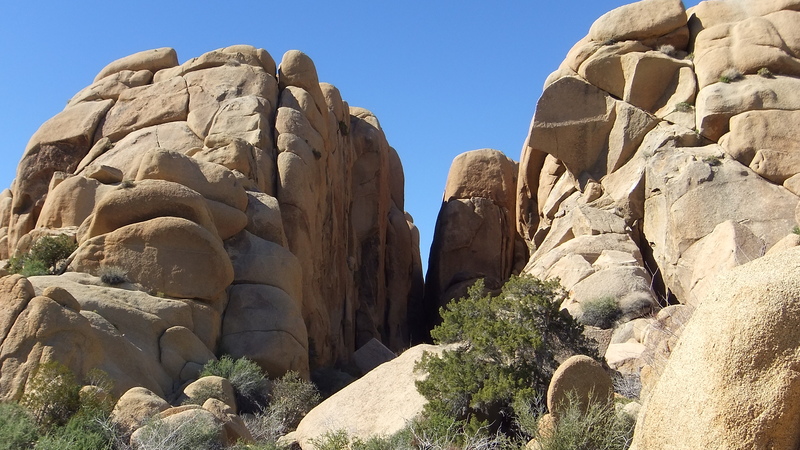 These are the imposing Jumbo Rocks Corridor followed further east on a platform of walls starting with Sky King Rock and Teepee Rock. 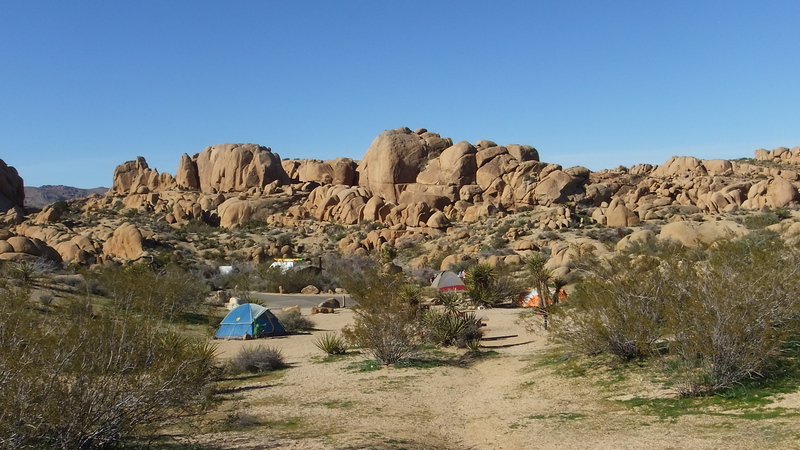 All are easily accessible from the campground. 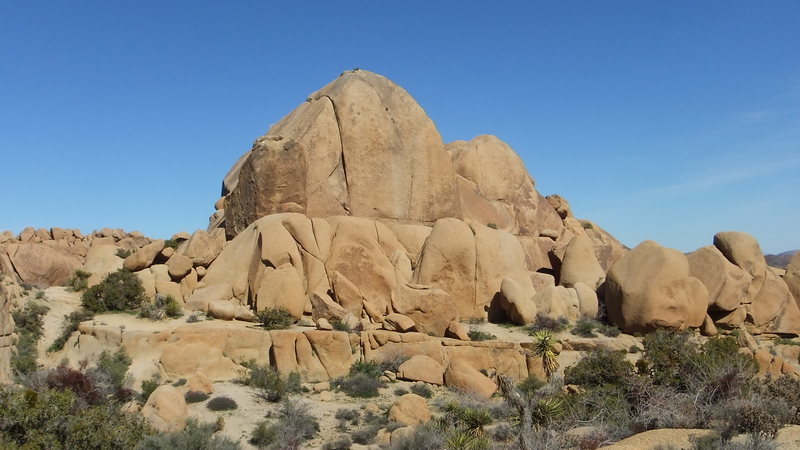 Teepee Rock lies about 150 yards north of Sky King Rock on the same raised platform. 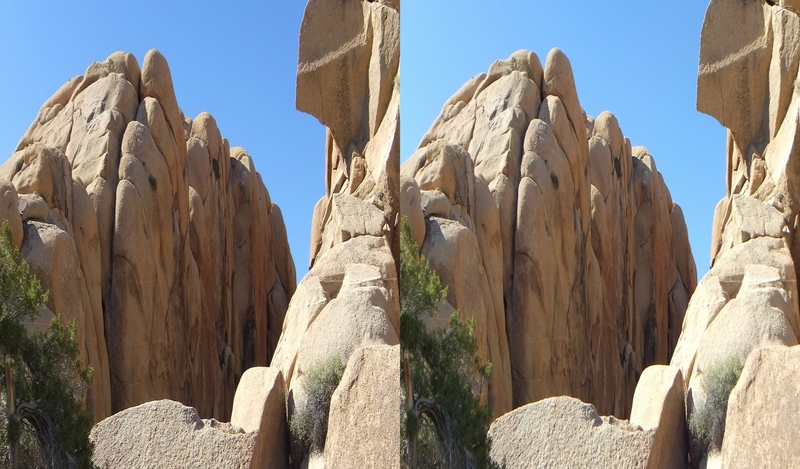 The characteristic “teepee” shaped cracks on the west face, according to Vogel’s climbing guide, constitute “Not a Hogan.” Other route names—which are always humorous or thought-provoking—include “Tortoise Skeleton Crack,” “Retirement Is All That,” “It’s Cracked Up to Be,” “Gracias a Dios,” “Busy Bees,” and “Scorched Earth.” Walk along the platform and admire the size of this jutting formation and imagine the courage that it takes to climb such an escarpment! 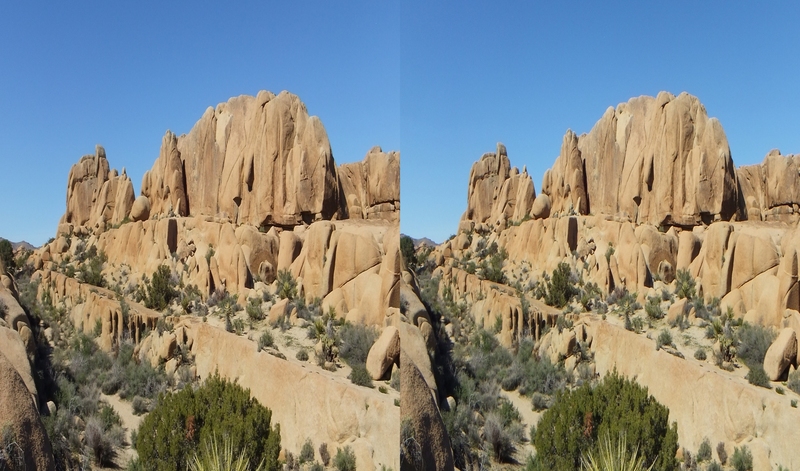 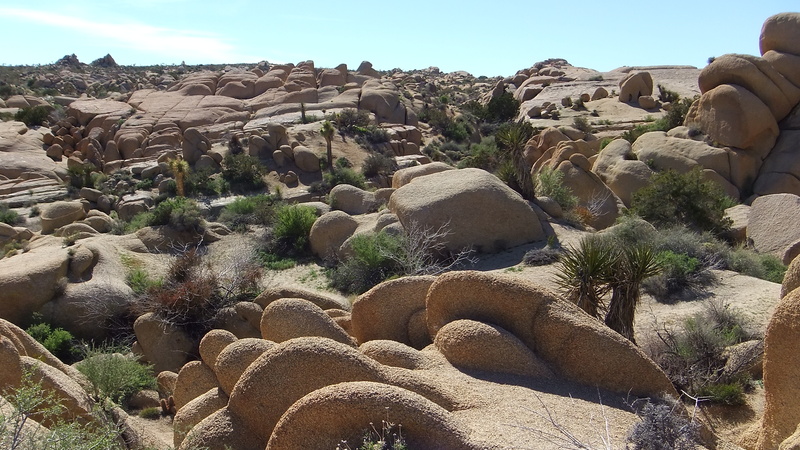 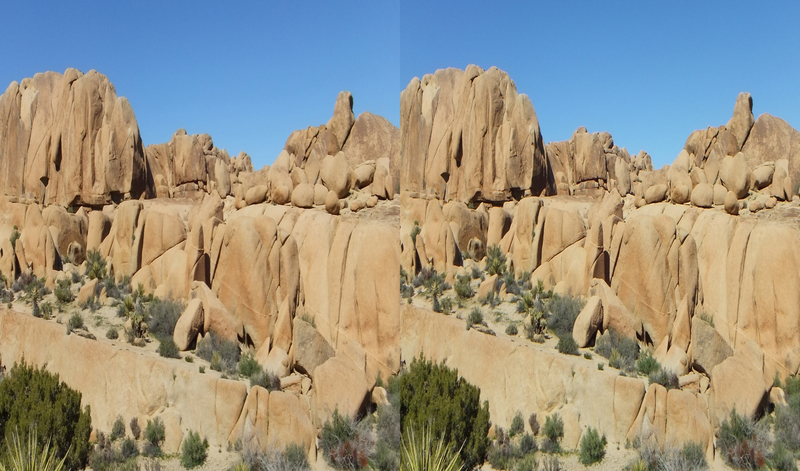 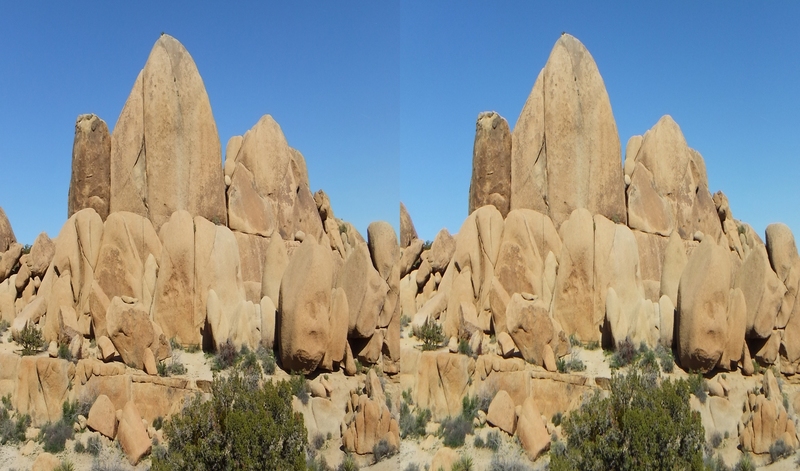 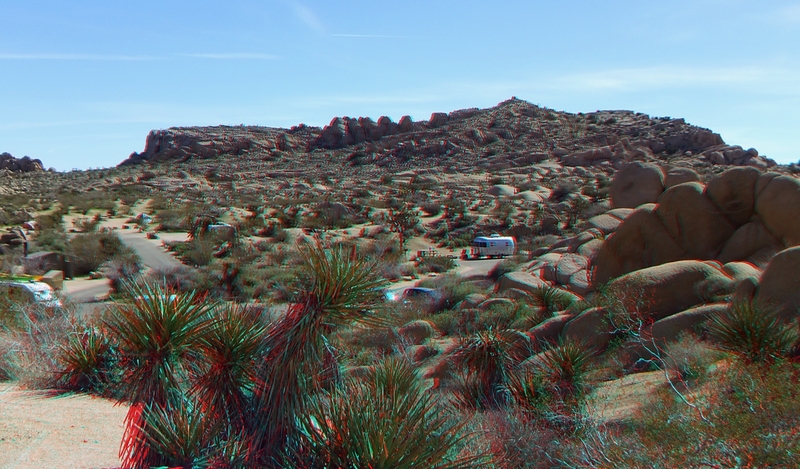 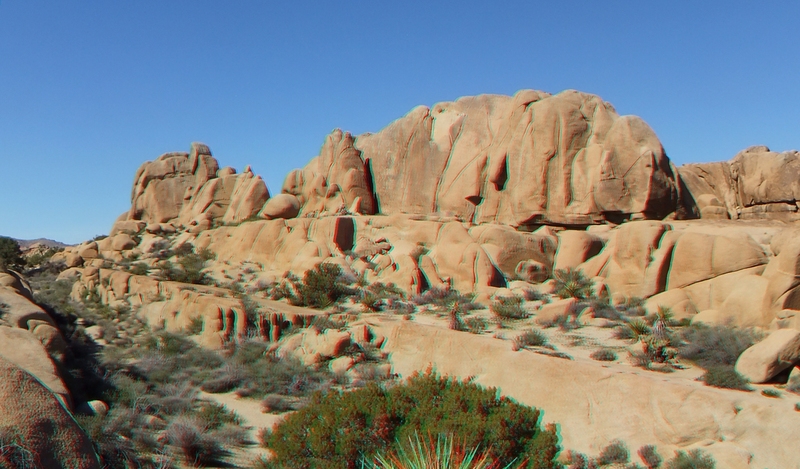 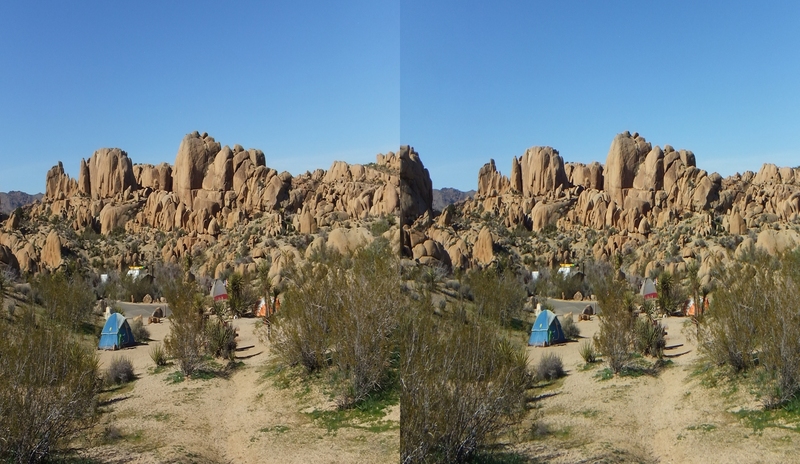 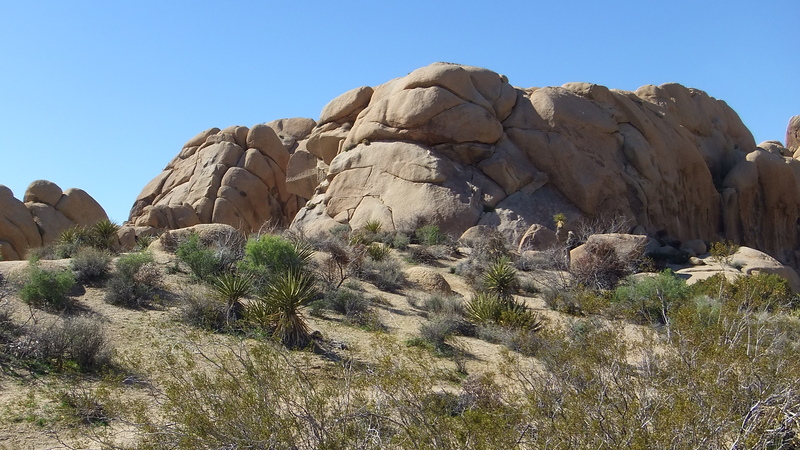 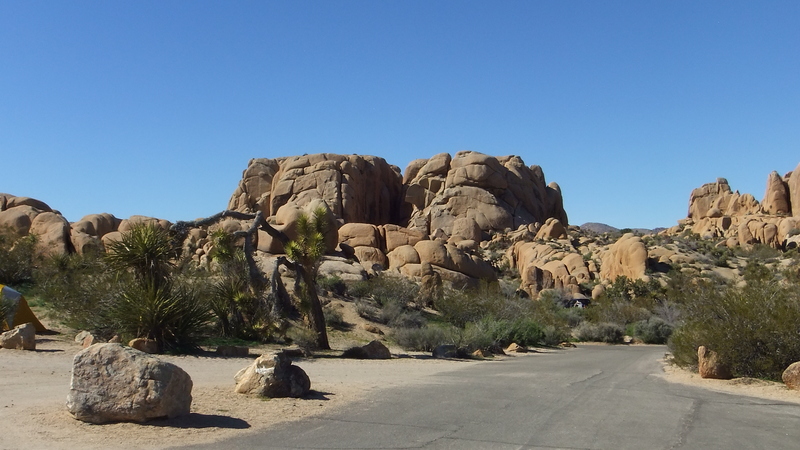 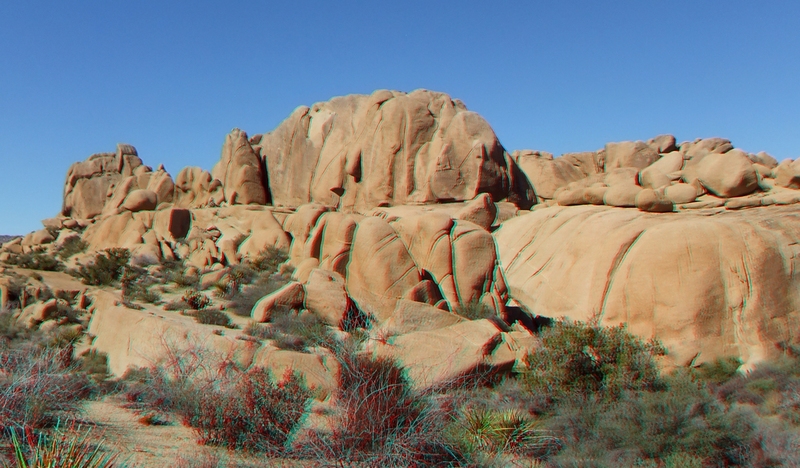 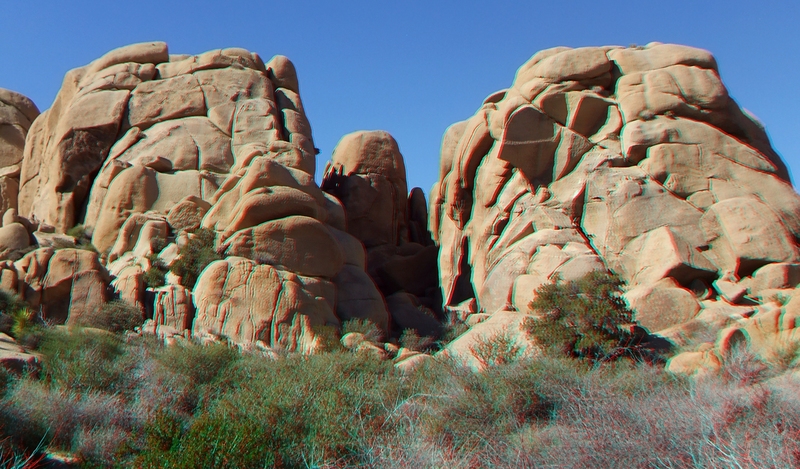 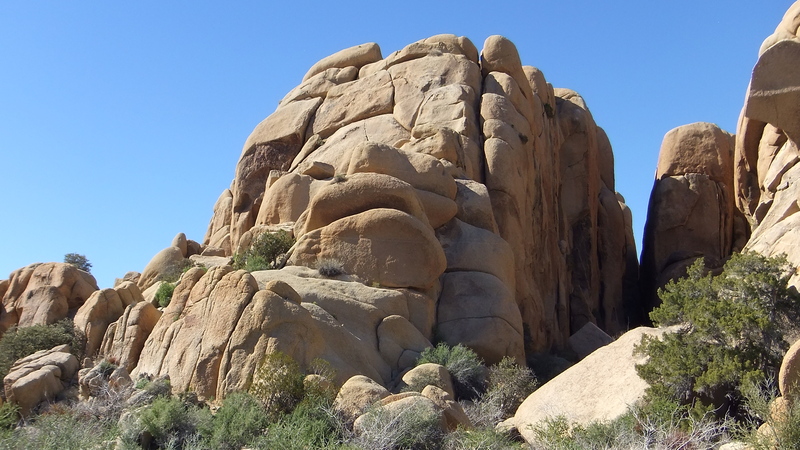 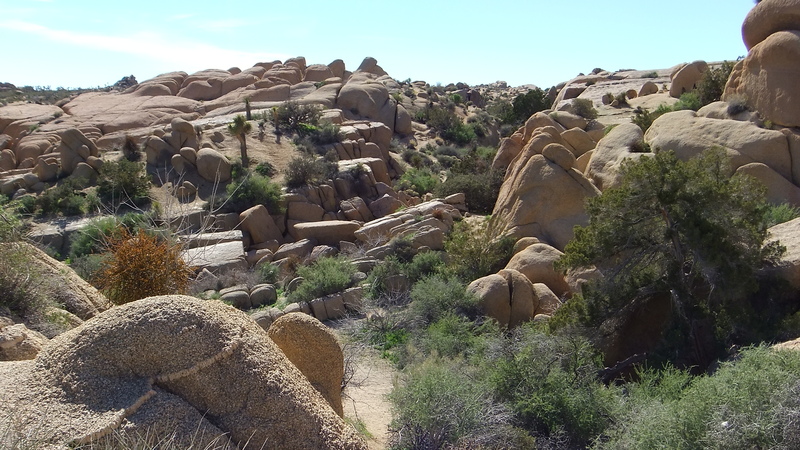 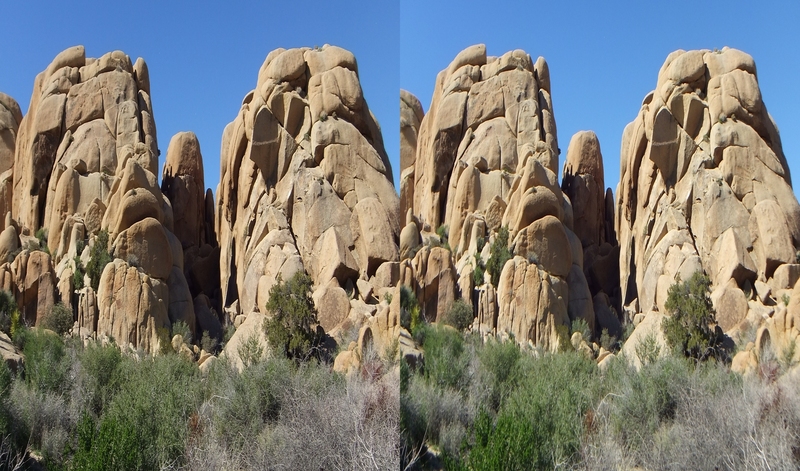 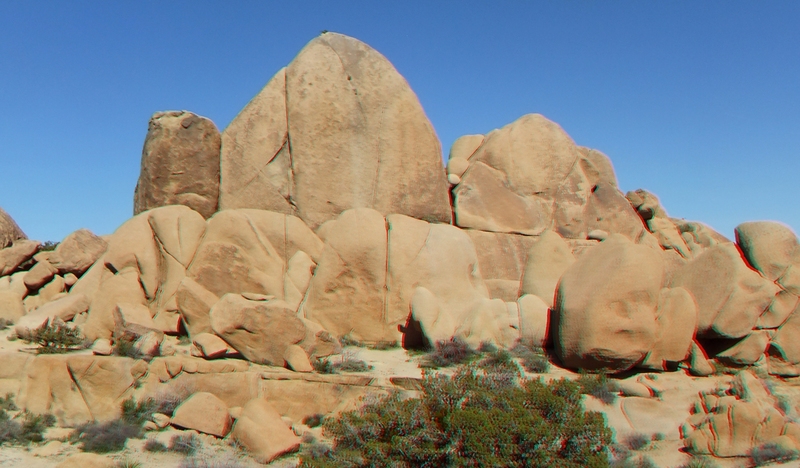 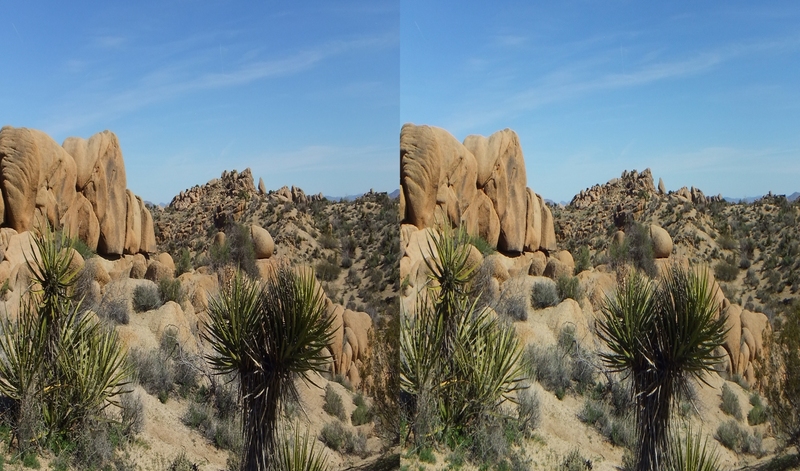 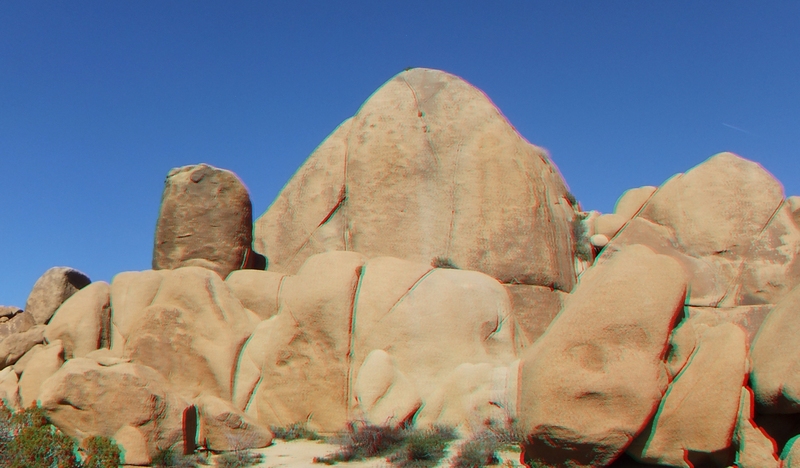 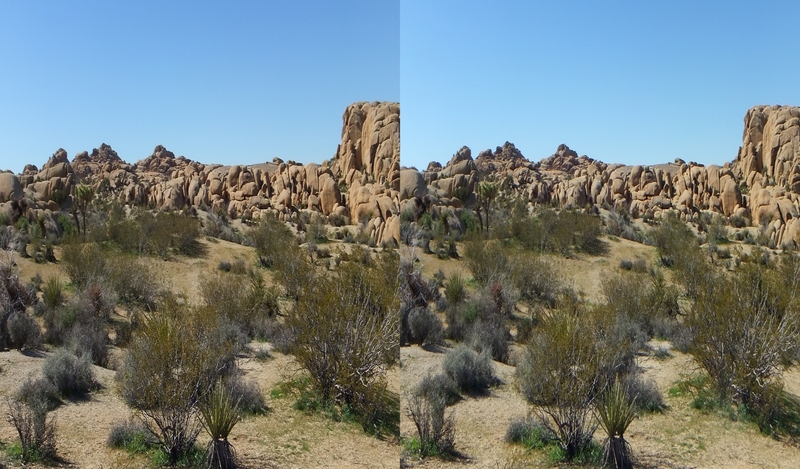 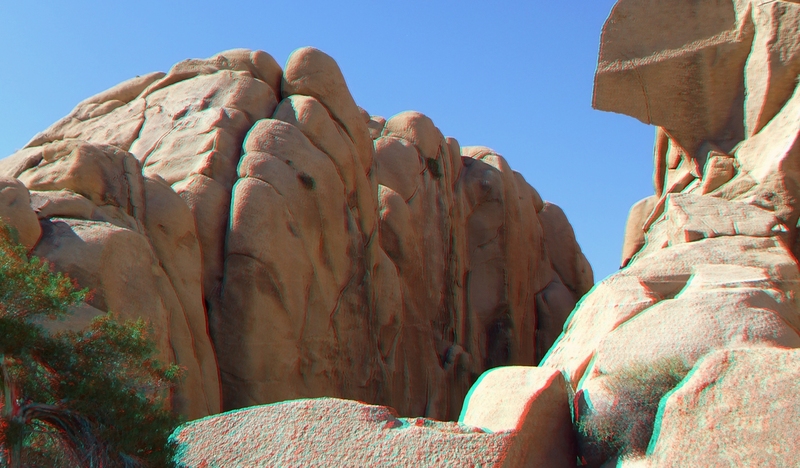 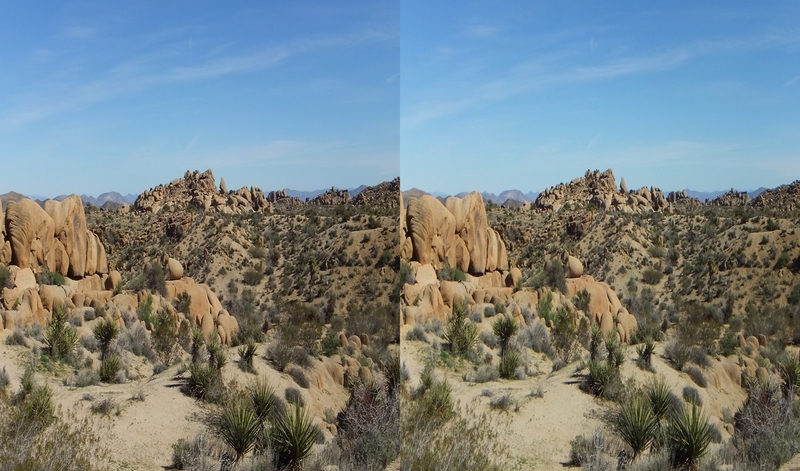 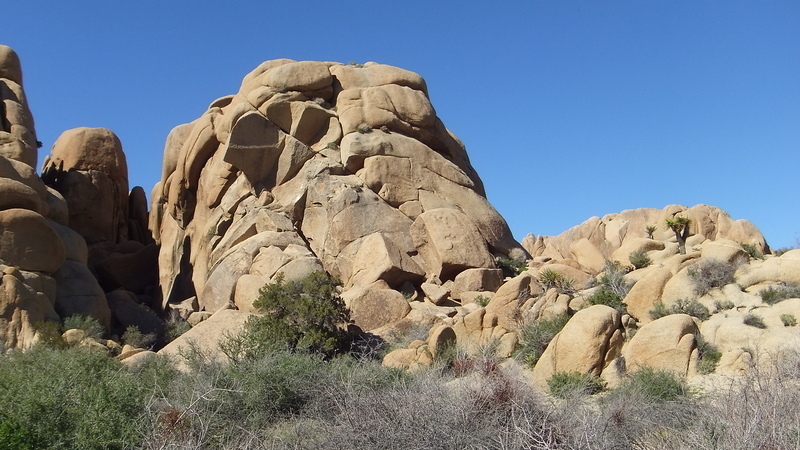 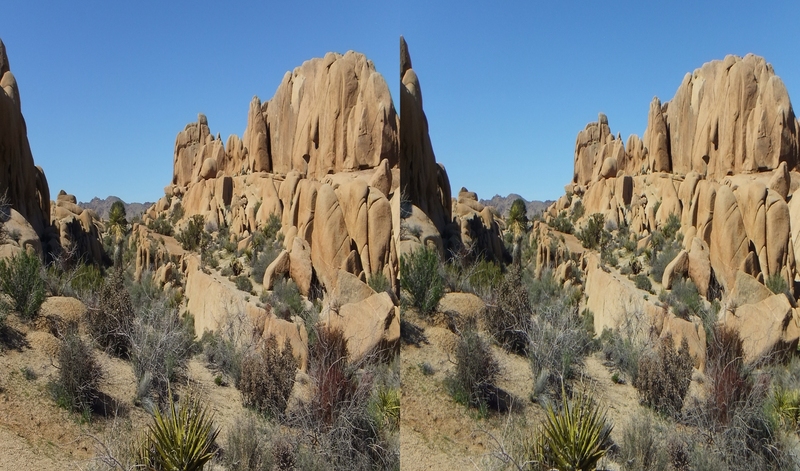 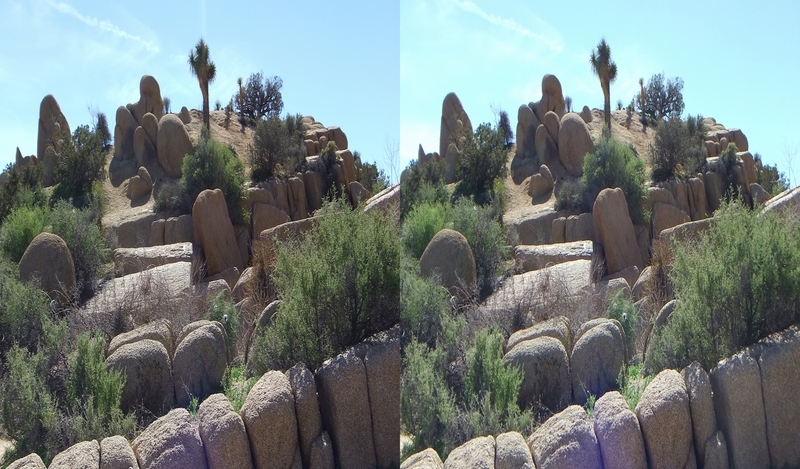 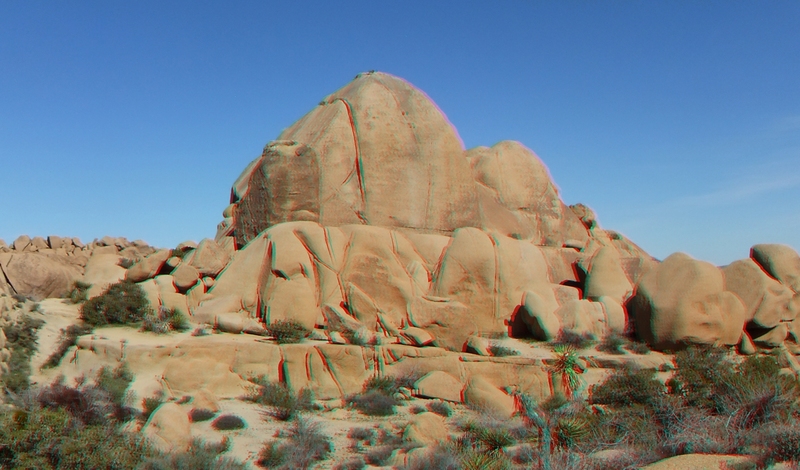 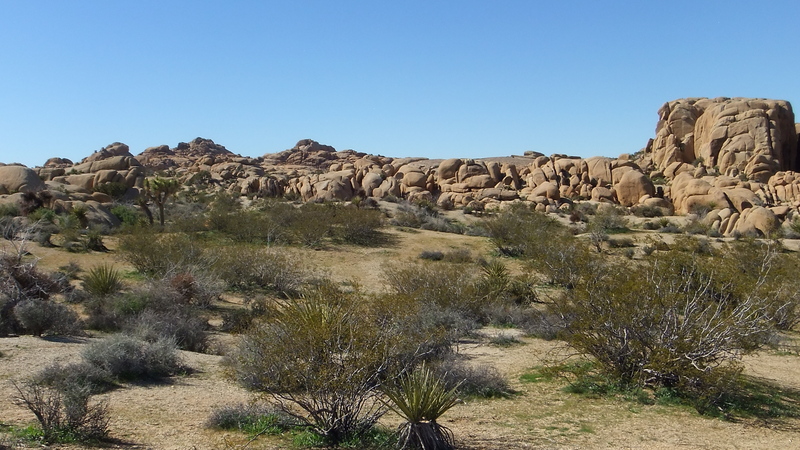 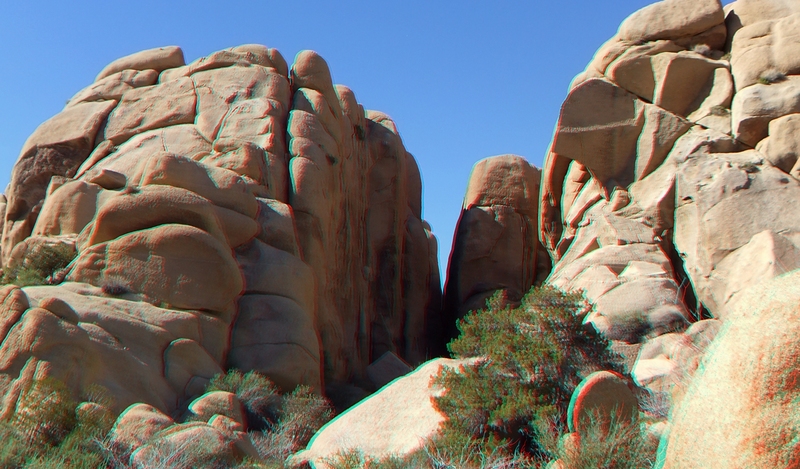 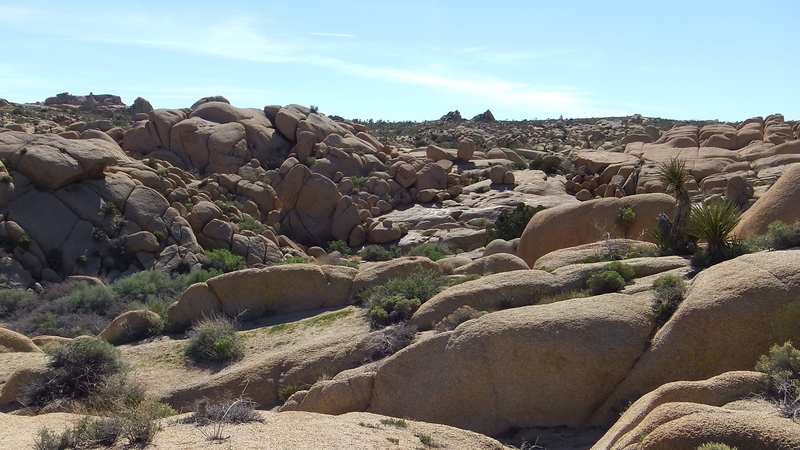 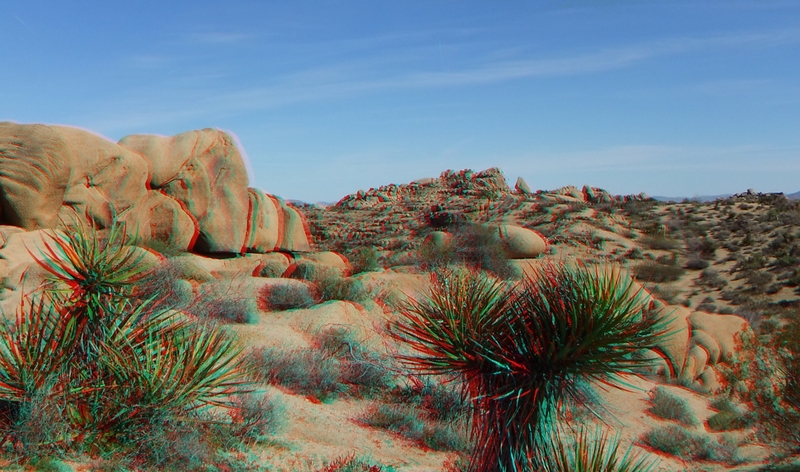 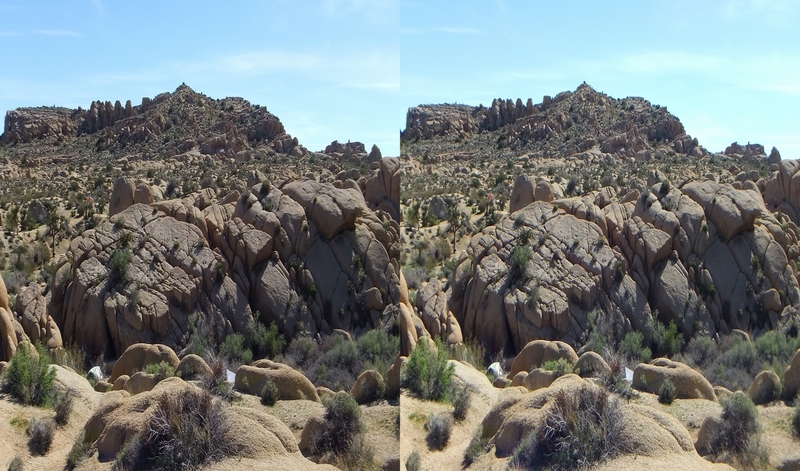 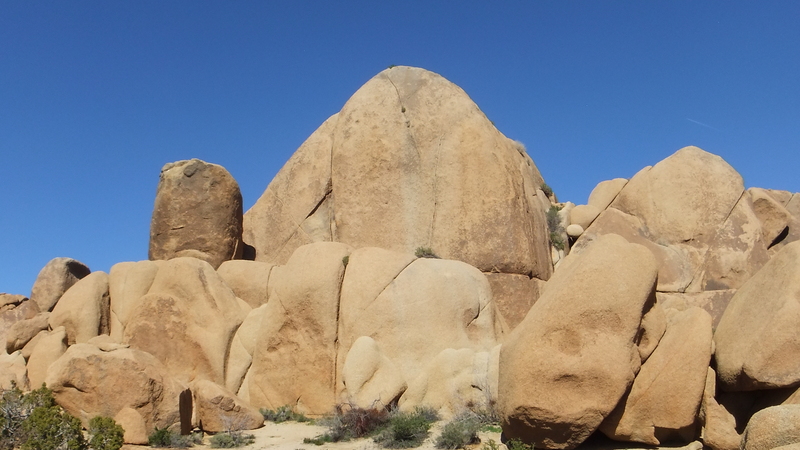 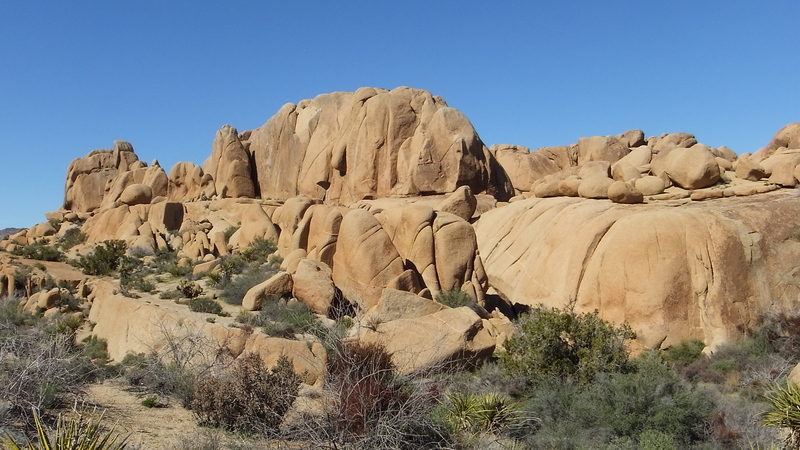 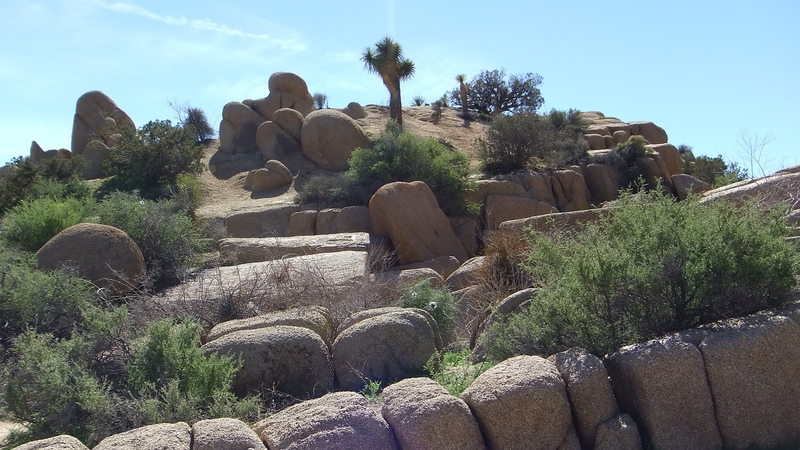 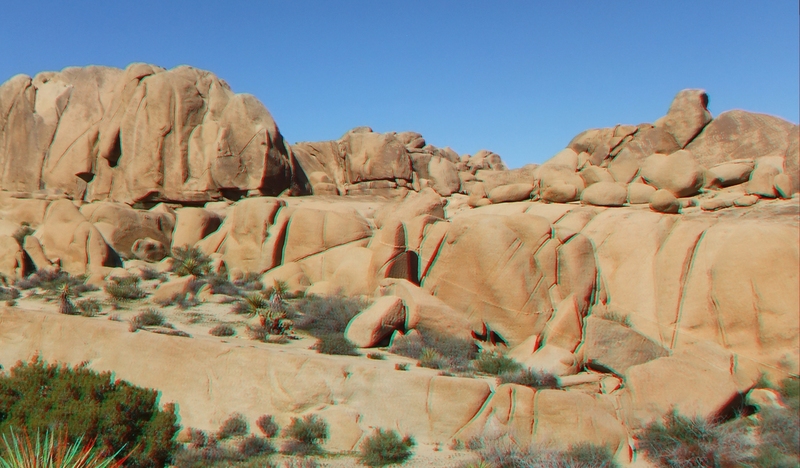 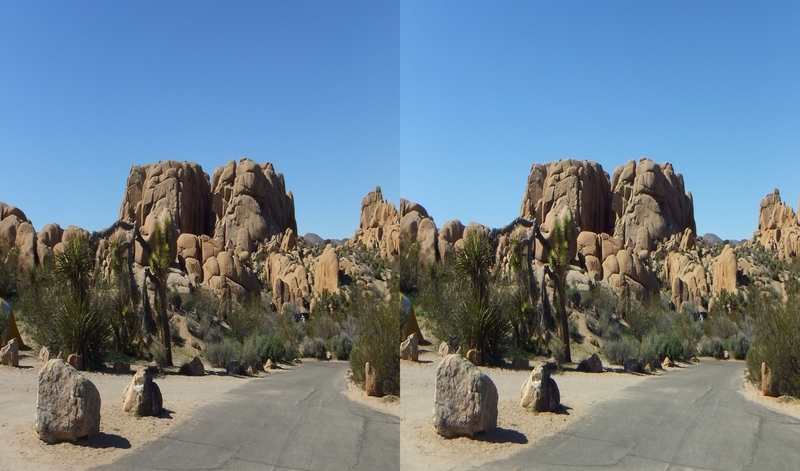 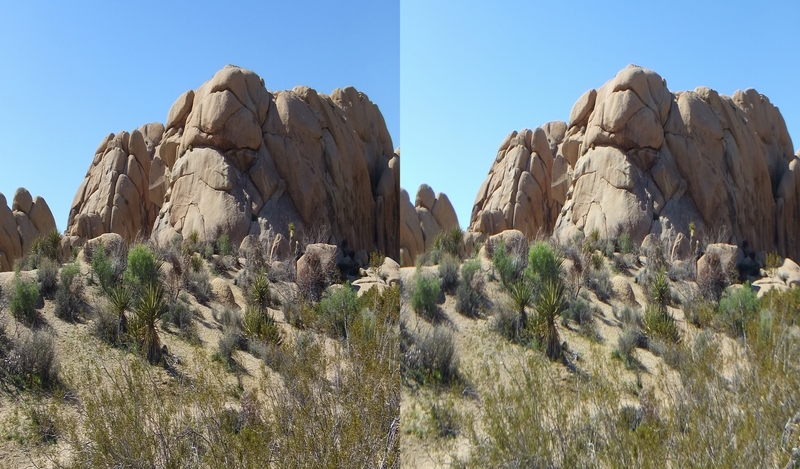 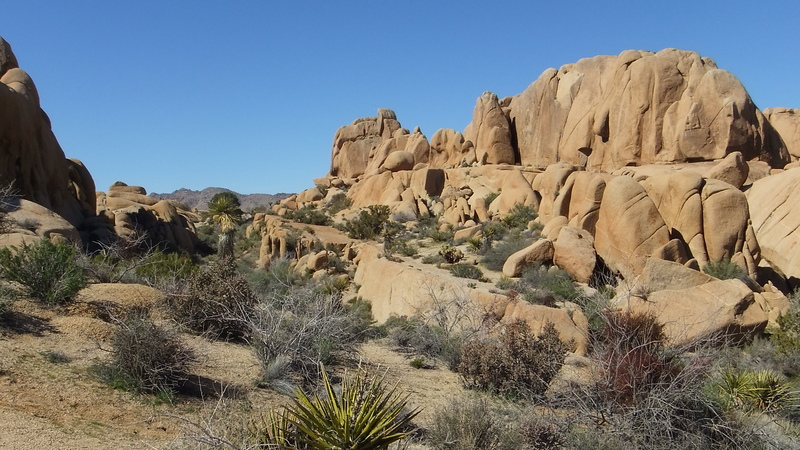 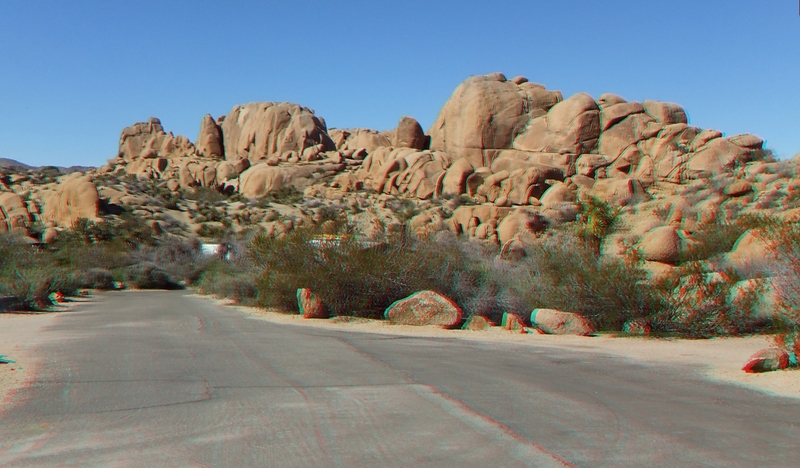 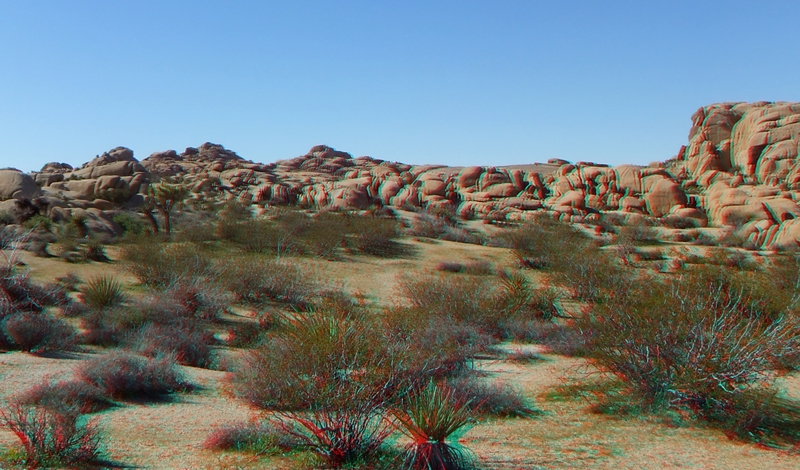 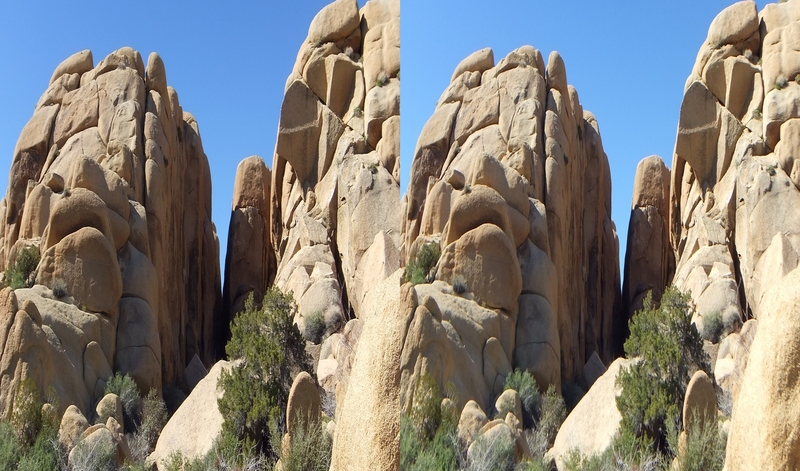 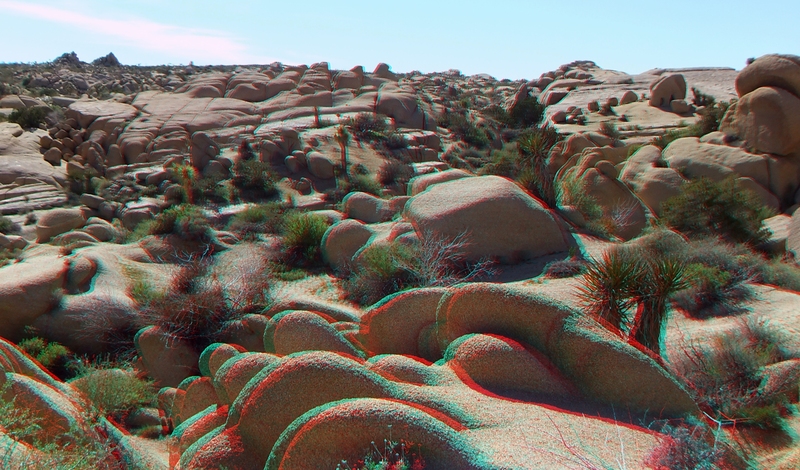 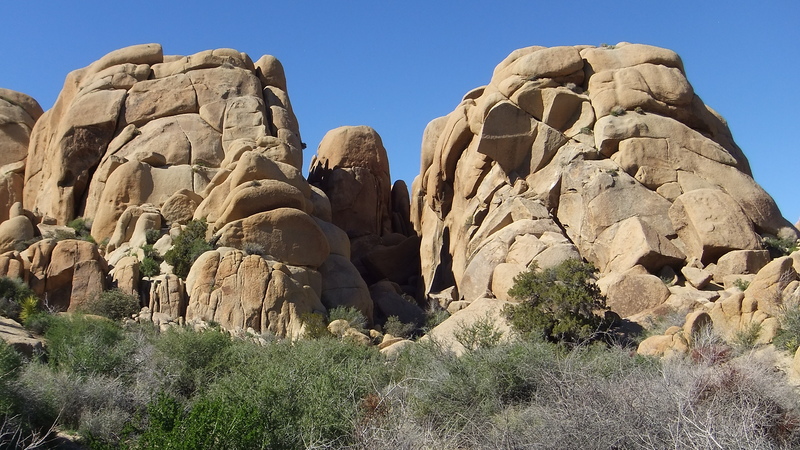 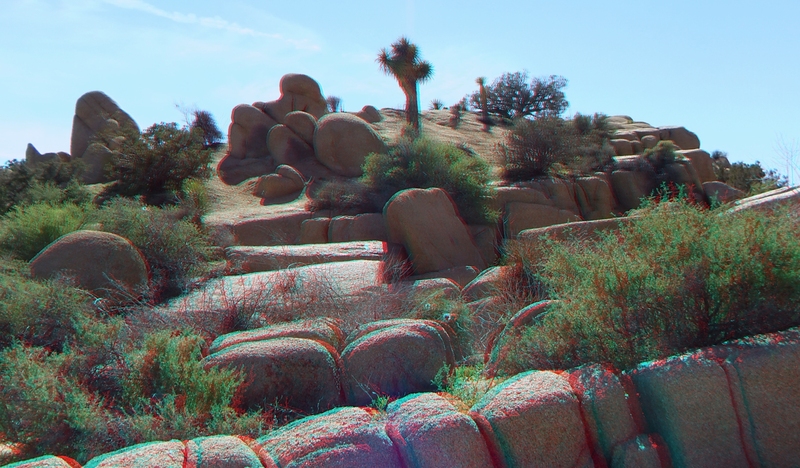 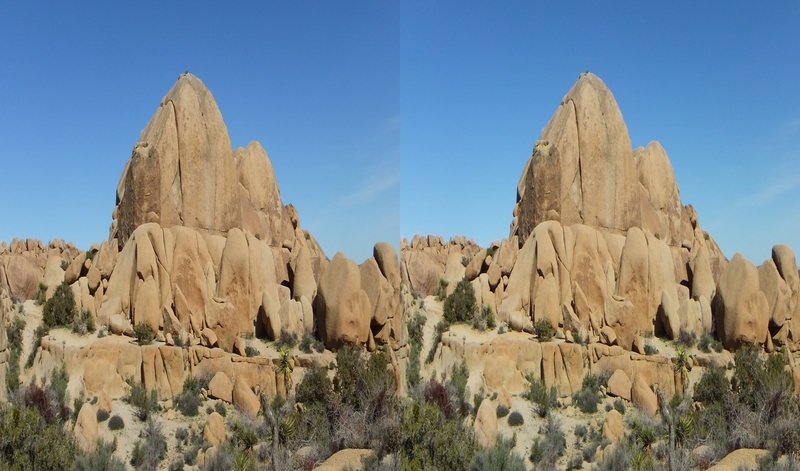 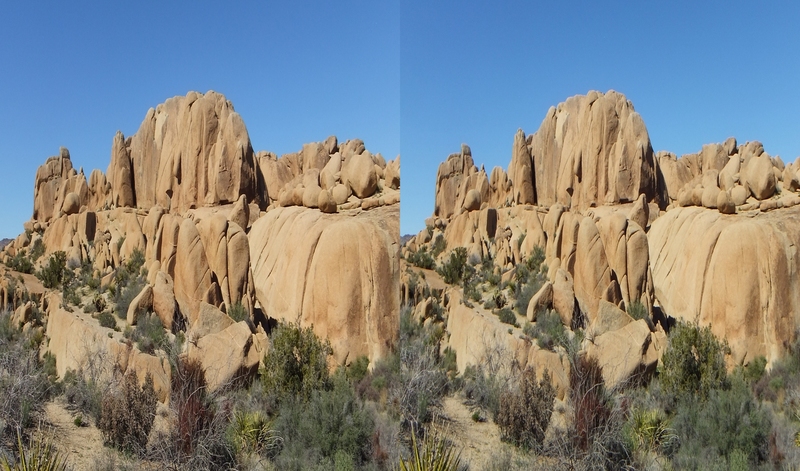 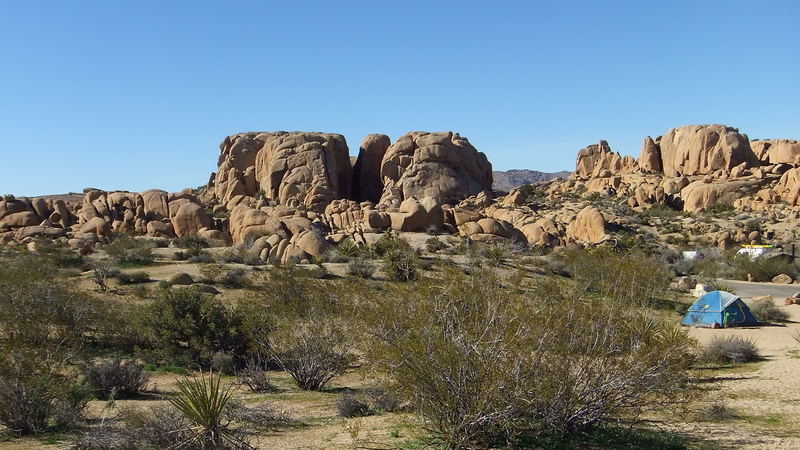 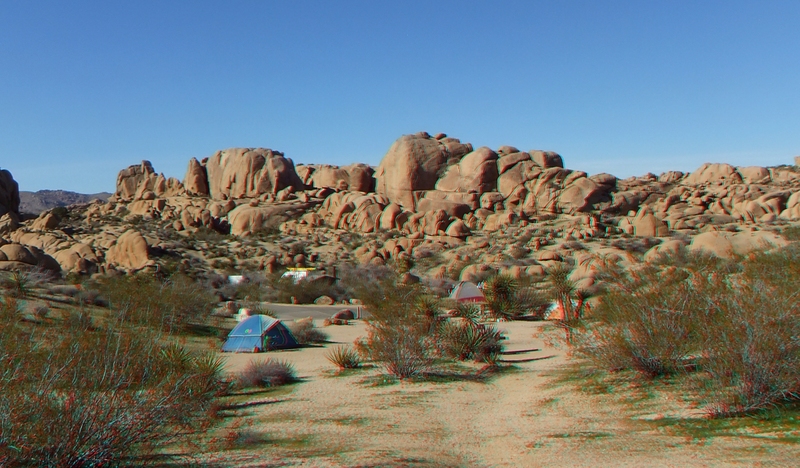 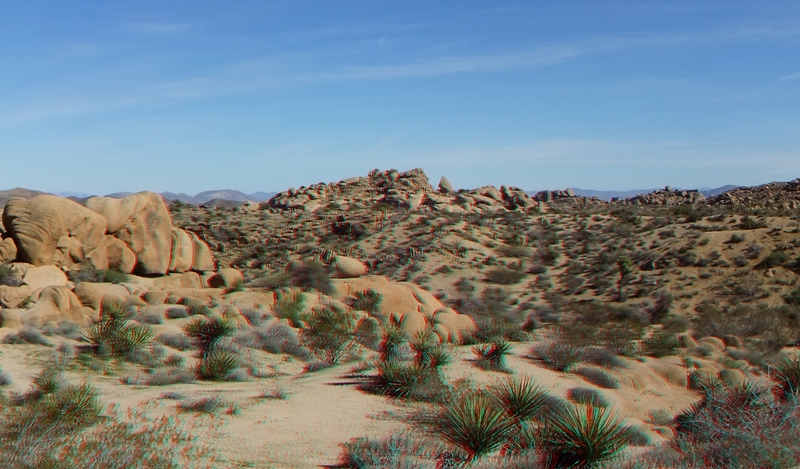 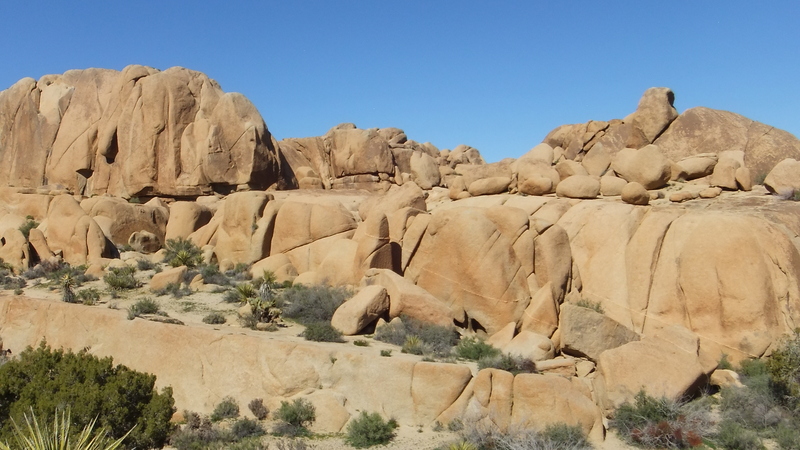 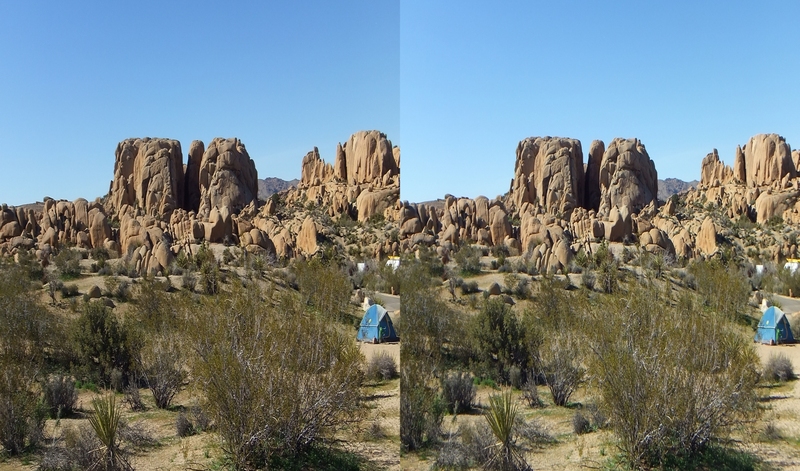 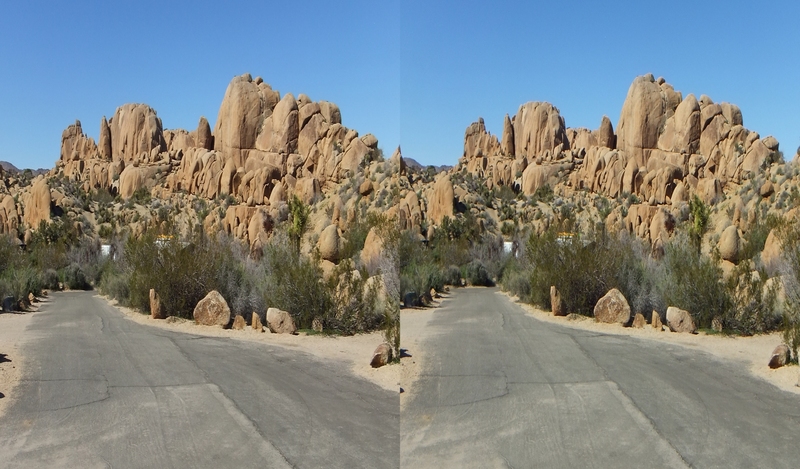 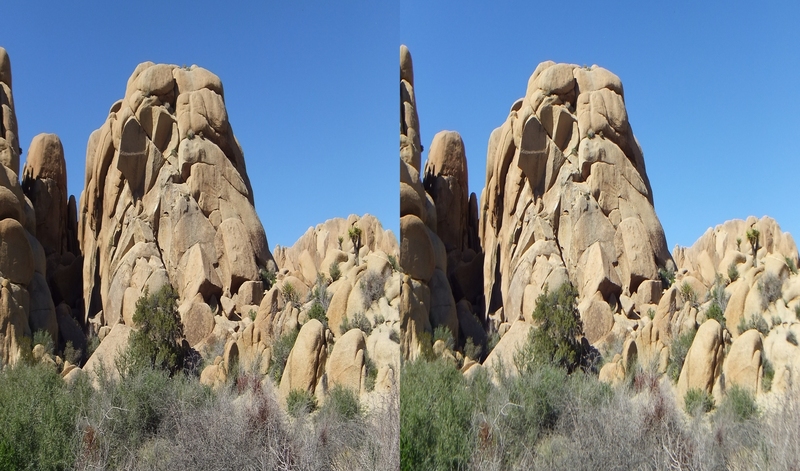 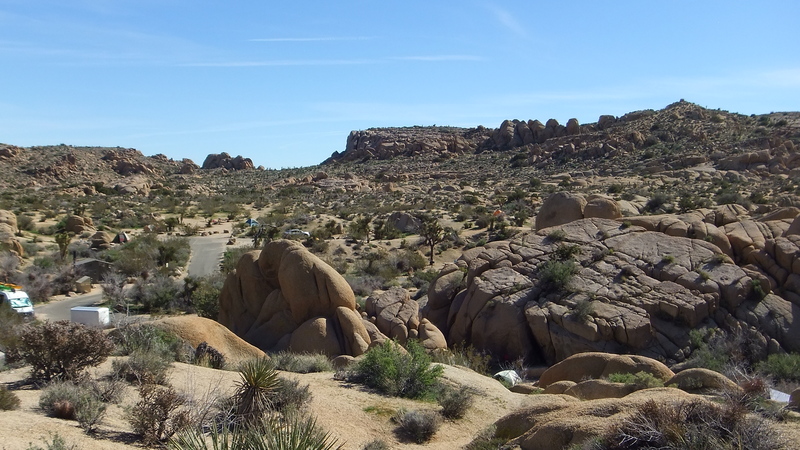 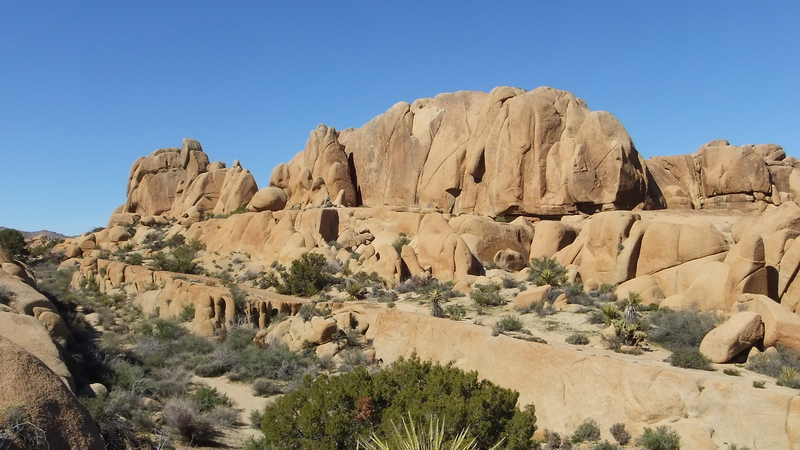 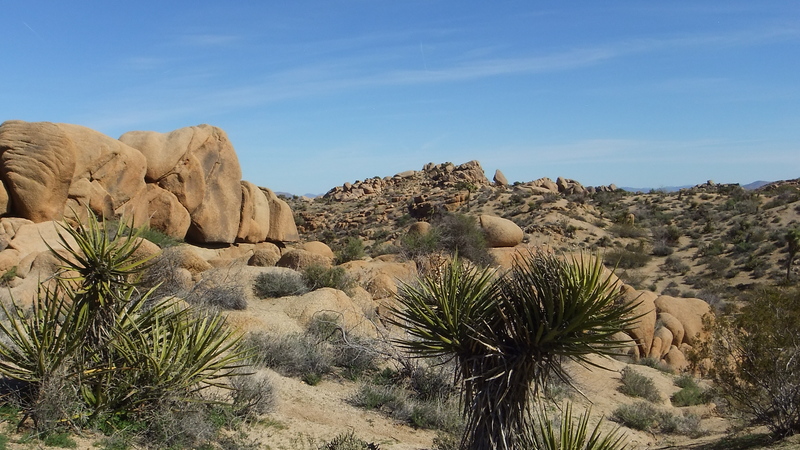 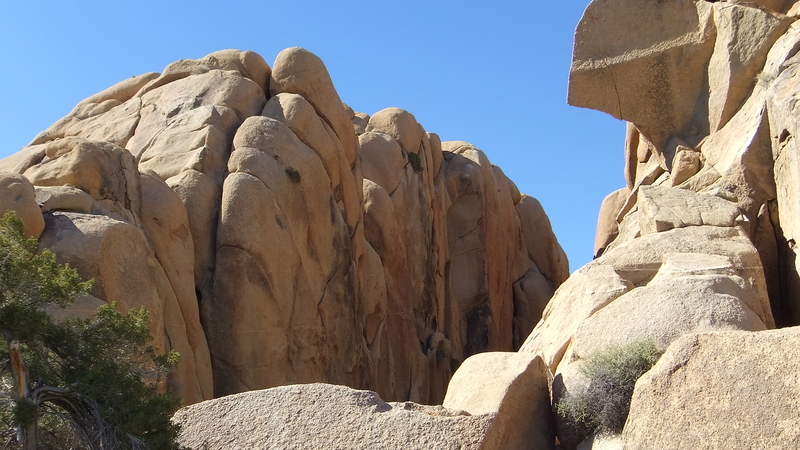 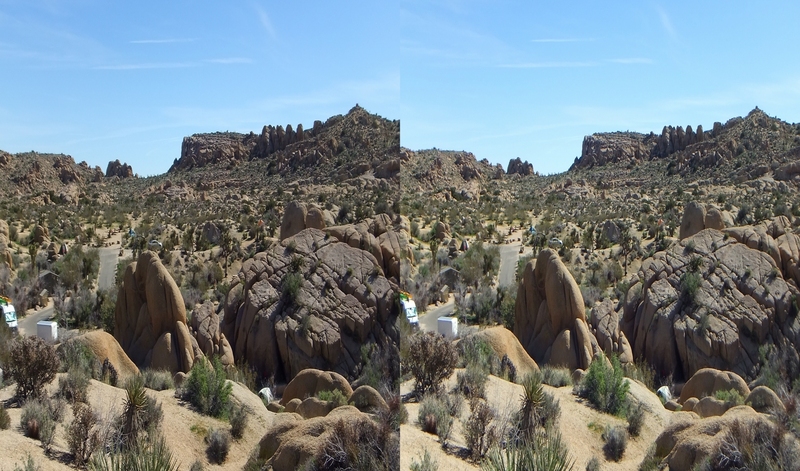 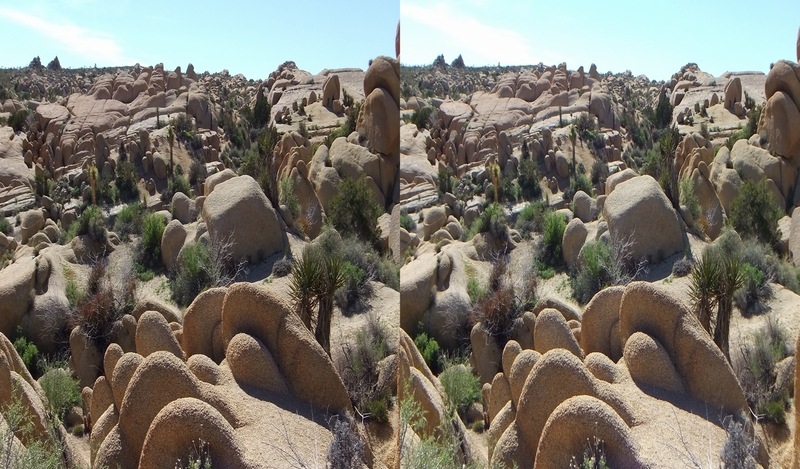 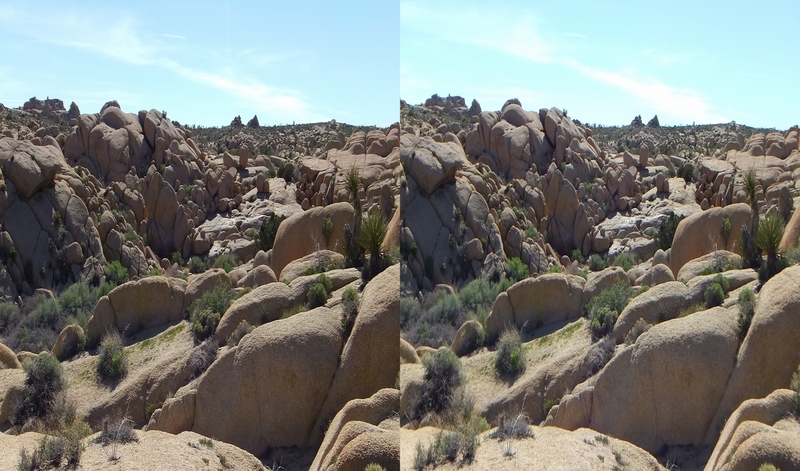 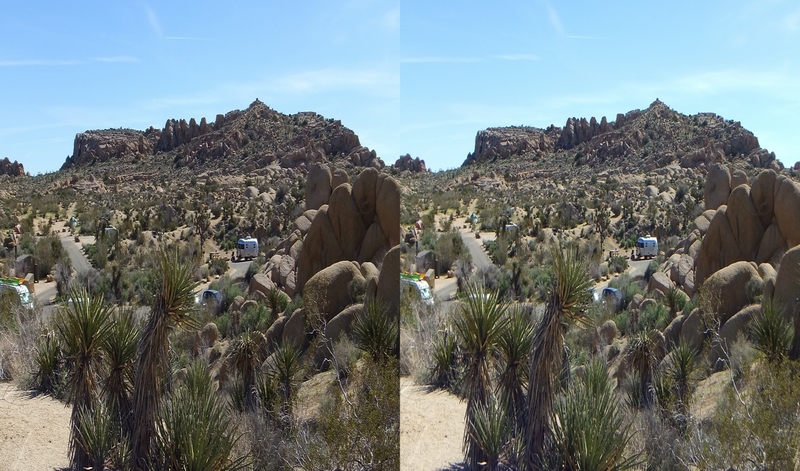 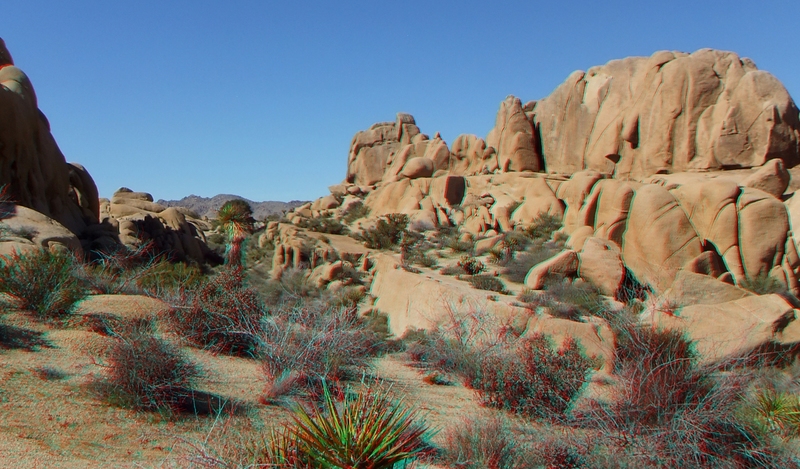 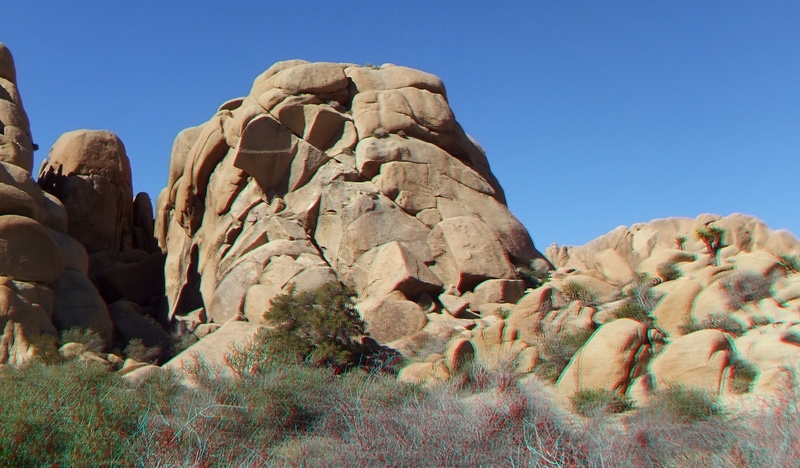 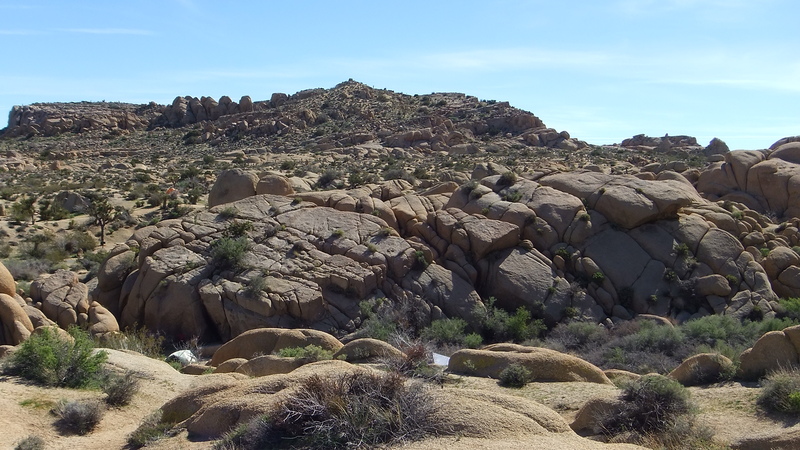 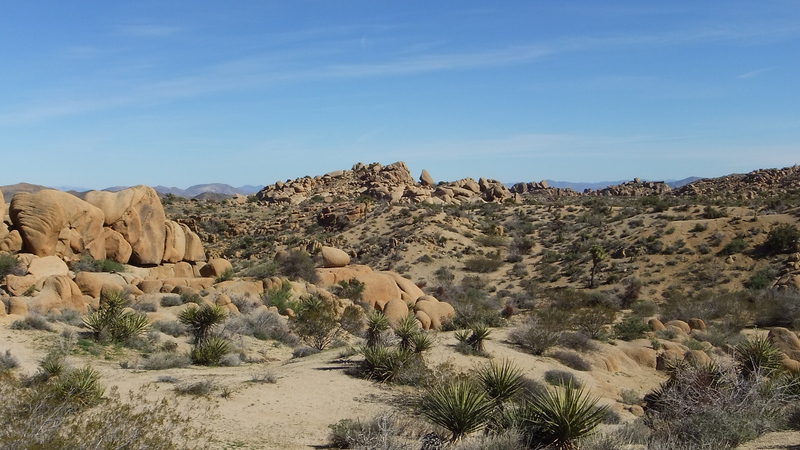 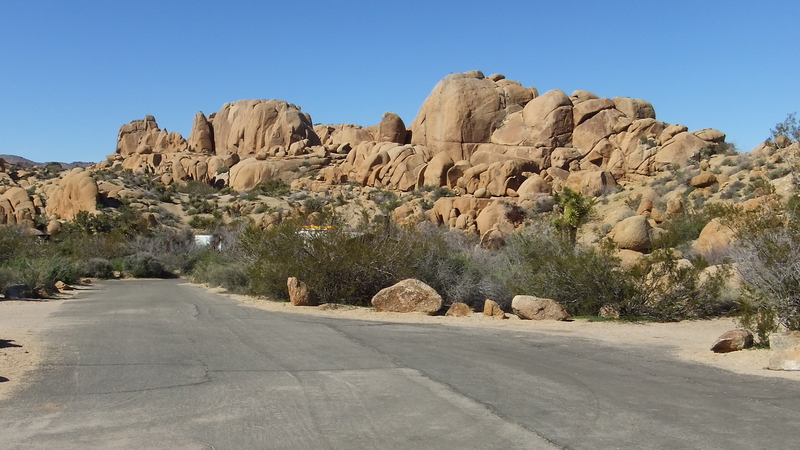 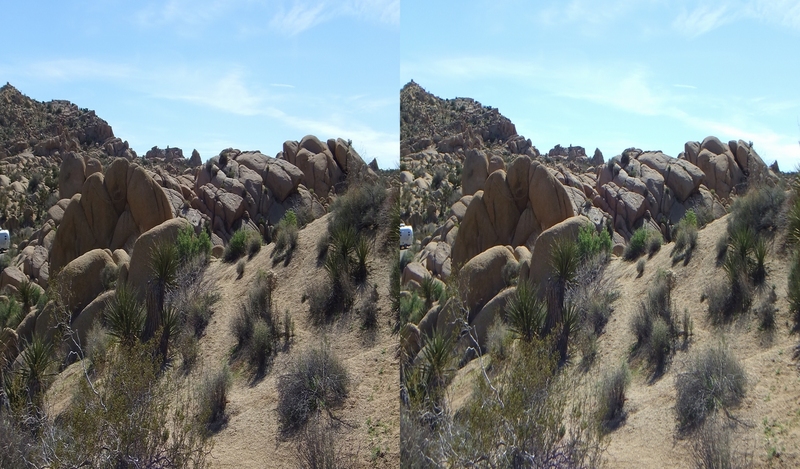 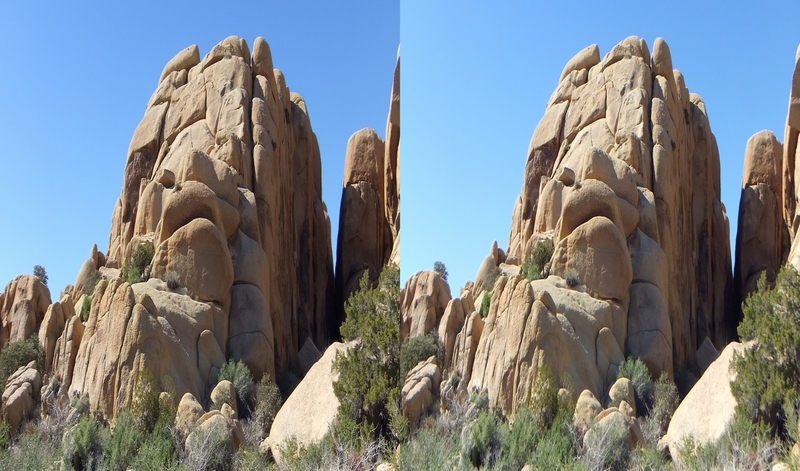 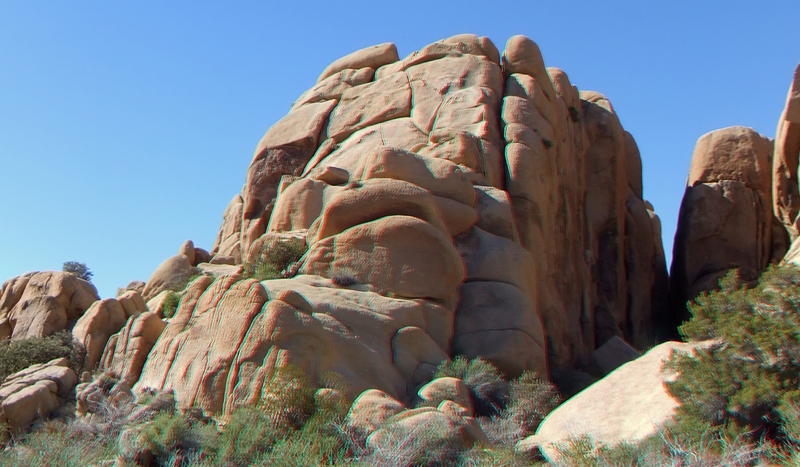 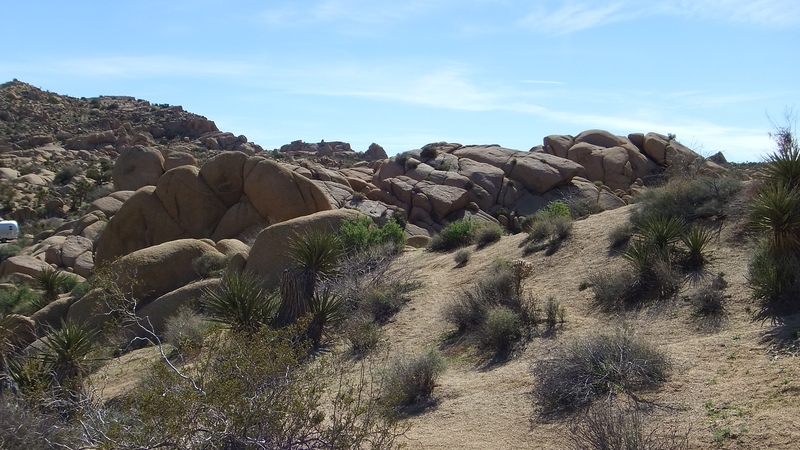 Thank you for visiting the Jumbo Rocks Corridor formations in this large and extremely popular campground.